How are farmers making and executing crop marketing decisions? 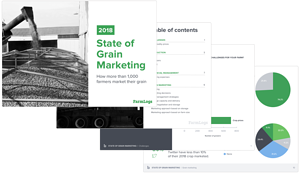 In our 2018 State of Grain Marketing Report, we surveyed over 1,000 farmers to uncover trends in how grain marketing decisions are being made. 70% of growers identified crop prices as one of their biggest challenges. The average price for corn declined ~$0.11 from 2016 to 2017, and what we've seen from 2018 corn and soybean prices indicates that crop prices will continue to be a top challenge. 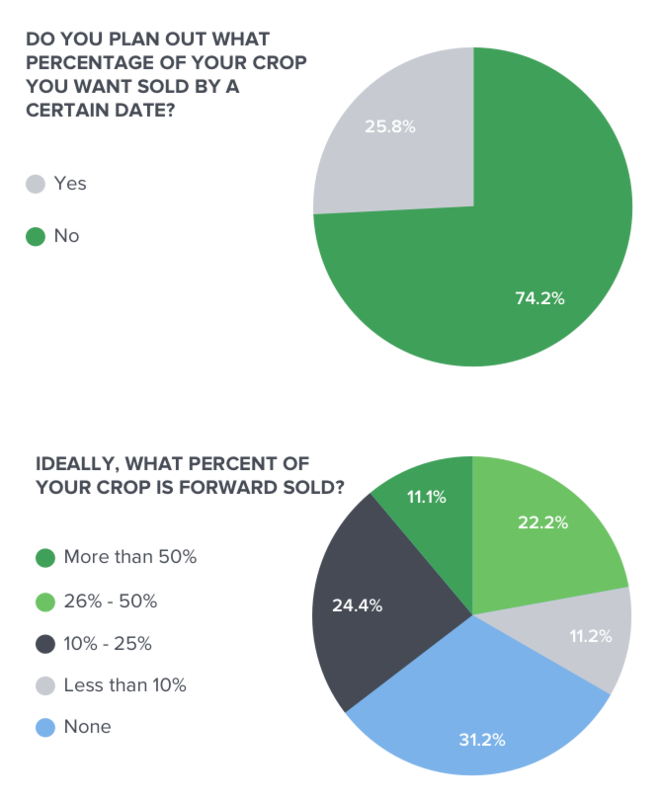 77% of farmers know their cost of production, yet only 26% of farmers plan out what percentage of crop they want sold by a certain date. 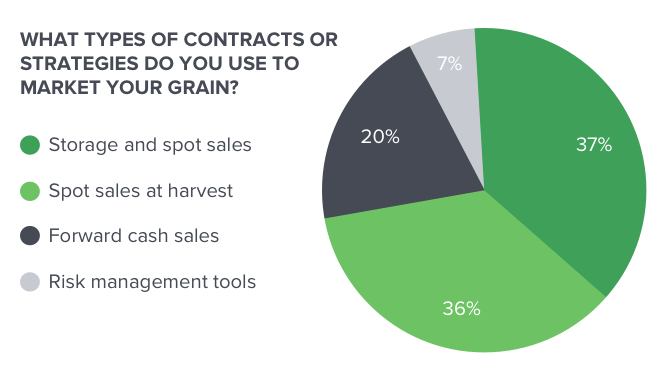 Only 7% of farmers are using risk management tools to sell their grain, and 36% use spot sales during harvest when prices are historically at their lowest. Read the full report for 16 pages of grain marketing insights! Fill out the form below and we'll send a free copy of the report to your inbox. Visit our Crop Marketing Education page to learn even more about grain marketing. Share: "Read the report to discover more trends in how over 1,000 farmers are marketing their grain » "